It is widely known that Disney is the place to vacation for people with food allergies. They go above and beyond to make guests happy while staying healthy too. At Mickey’s Not So Scary Halloween Party in Disney World, adults and children both can enjoy a night in the Magic Kingdom trick or treating! For most of use, we just think about how much fun we will have gathering lots of treats. For those with food allergies or parents of children with food allergies, this can be a stressful activity. Thankfully, Disney has made trick or treating much safer for everyone! Guests with a ticket to Mickey’s Not So Scary Halloween party will scan their party ticket at the turnstile, then get a party wristband. 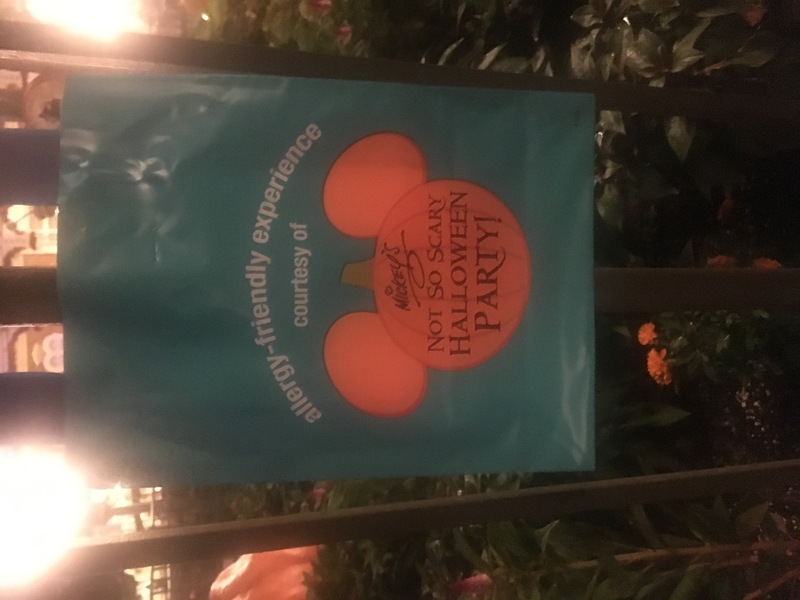 Next, each guest is handed a trick or treat bag! 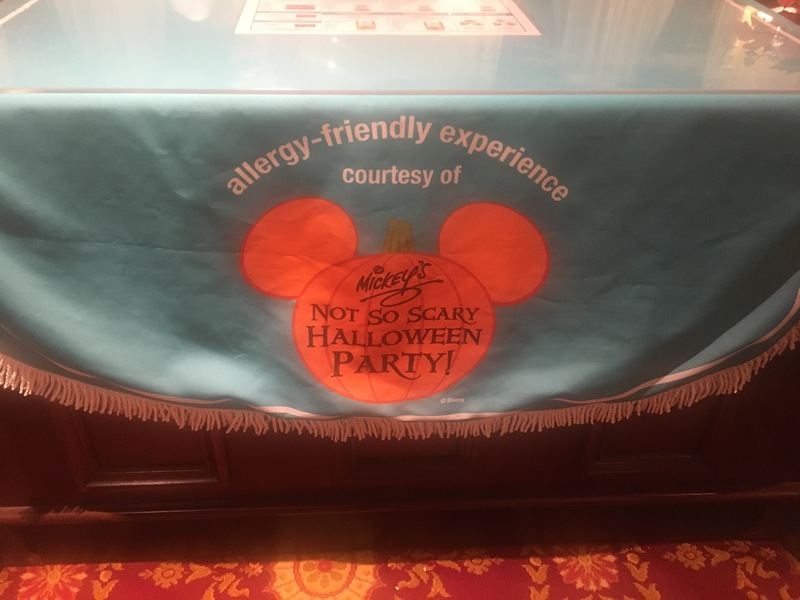 Guests with food allergies can ask for a special teal treat bag. 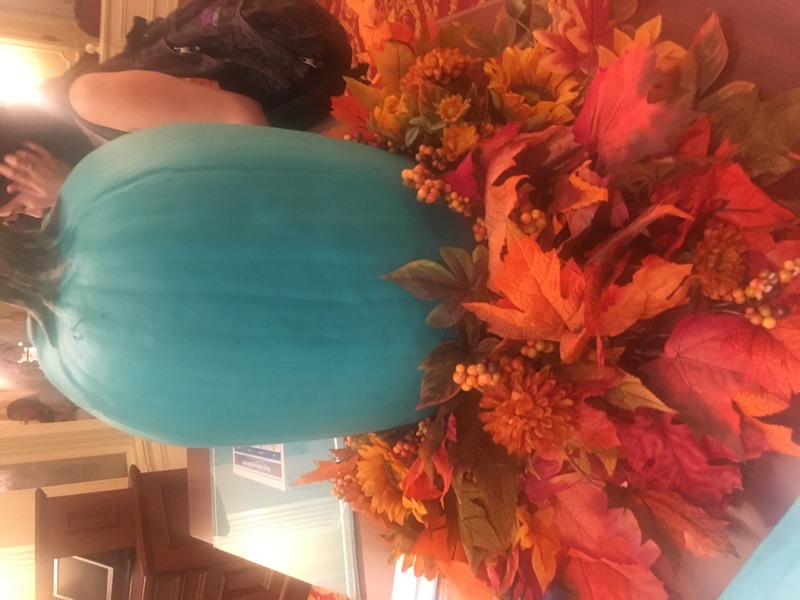 Instead of getting candy at each treat station, the teal bag signals the cast members to give that guest a teal token. 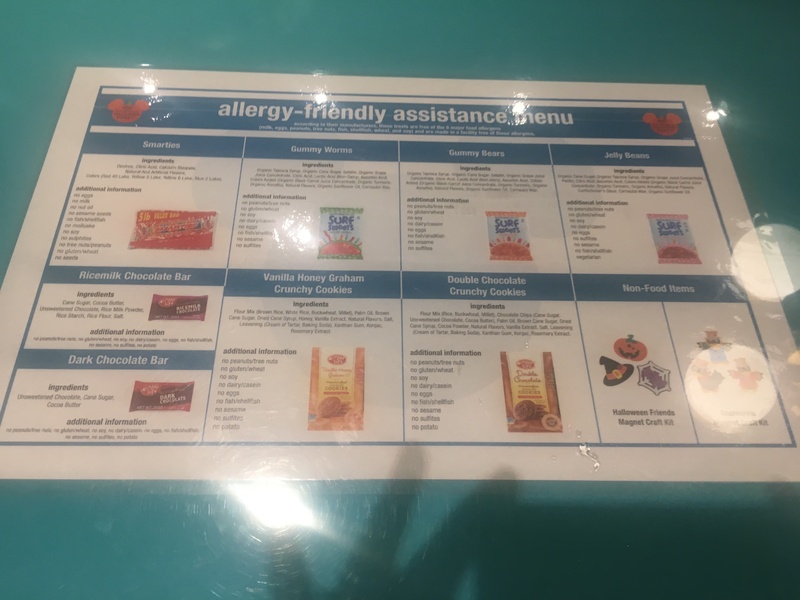 At the end of the night, guests with food allergies stop by one of the allergy centers to exchange their tokens for special allergy friendly treats! Disney provides lots of options, including non food treats. For sweet treats guests can choose Smarties, gummies, chocolate bars and more. The chart below is a complete list of allergy offerings.